Born into a poor family, Fanny Price is raised amid the daunting splendour of Mansfield Park by her rich uncle, Sir Thomas Bertram. Treated as an inferior by most of the family, Fanny forms a close attachment to her cousin Edmund, the only person to show her kindness. With the departure of her uncle to the West Indies and the arrival from London of the fashionable Henry and Mary Crawford, flirtation and romantic intrigue abound. As Fanny becomes increasingly uncomfortable with the conduct of her companions, she finds herself isolated and forced to face the conflict between her sense of propriety and social expectation. 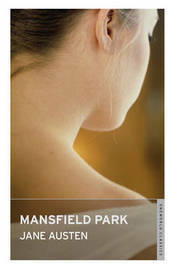 Published in 1814, "Mansfield Park" is a nuanced examination of the social hierarchy of Jane Austen's day that contains more than enough wit, charm and human drama to enchant readers of any era. The witty and sharply satirical novels of Jane Austen have an influence that shows no sign of waning, with continual adaptations and echoes in contemporary culture, and an ever-enthousiastic audience.